Some close to the former president thought he might die soon after his wife. Former President George H.W. 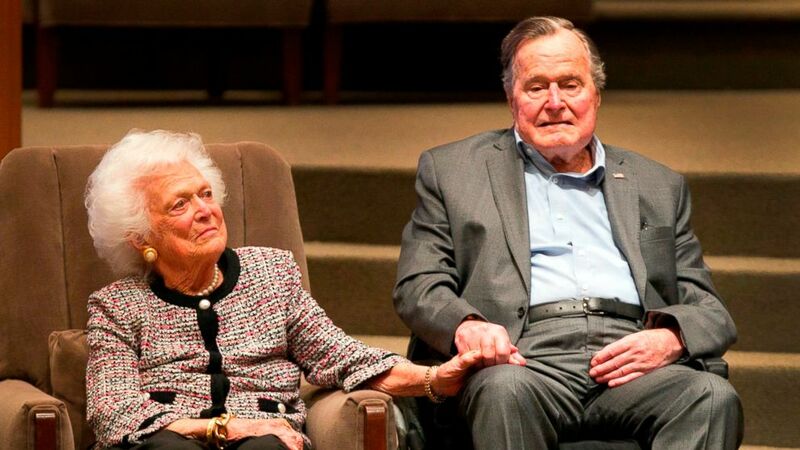 Bush was still heartbroken over the death of Barbara Bush when he died, his former White House photographer told ABC News. David Valdez, who began serving as Bush's official photographer when he was still vice president to Ronald Reagan, told ABC News' Brad Mielke on "Start Here" that many thought Bush would die soon after the Bush family matriarch, with whom he shared six children, died in April. "A couple days after Mrs. Bush passed away, he went into the hospital, and we thought, you know, he's just dying of a broken heart," Valdez said. "And I think these seven or eight months later, there's some of that there. They were so in love." (AP) In this March 8, 2017, file photo, the Mensch International Foundation presented its annual Mensch Award to former U.S. President George H.W. Bush and former first lady Barbara Bush at an awards ceremony hosted by Congregation Beth Israel in Houston. Valdez said he earned the family's trust soon after he began working for the then-vice president in December 1983. On his "very first day on the job," Valdez had traveled to Miami to accompany Bush in meeting his newborn grandchild, "Jebbie," the son of Jeb and Columba Bush, he said. 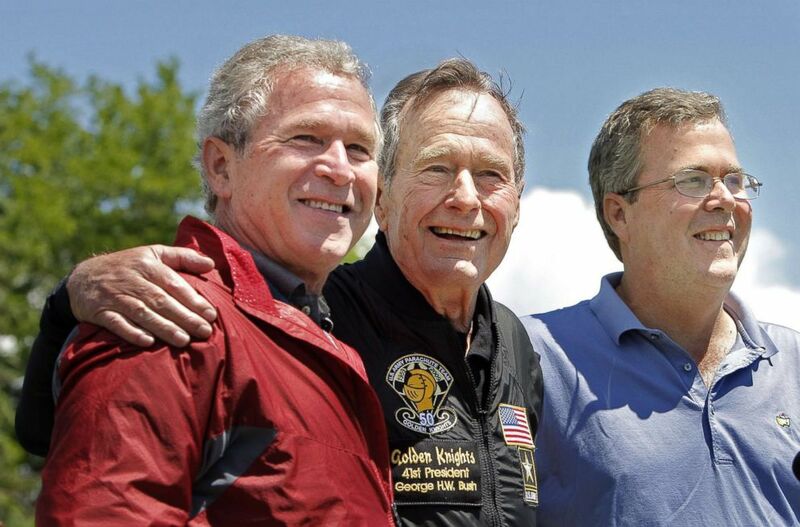 The vice president and Barbara Bush were surrounded by their staff and Secret Service agents in the hotel suite, but when Jeb Bush entered the room with his son "everybody kind of drifted away" to give the grandparents some time with the newest member of the family, Valdez said. "And I thought, well, nobody said anything to me, so I'm just gonna stay," said Valdez, adding that he followed Bush as he went into the bedroom, photographing him as he held and hugged and bonded with the baby for the first time. Barbara Bush apparently appreciated the newly hired photographer's tenacity. "A few weeks later," Valdez recalled, I received a note from Barbara Bush saying she loved the photos I took of "Gampy" and "Jebbie," and as long as I took pictures of her grandchildren, I could go anywhere and do what I wanted to do." Bush was "warm and gracious" before their professional relationship even began, Valdez said. He was "showing me around the office, showing me photos of his grandchildren and telling me that he and I would be together in public and private, and we had to have this trust relationship," Valdez said. (Matt Sayles/AP, FILE) Former President George H.W. Bush arrives at the 2007 Ronald Reagan Freedom Award gala dinner held in his honor in Beverly Hills, Calif., Feb. 6, 2007. 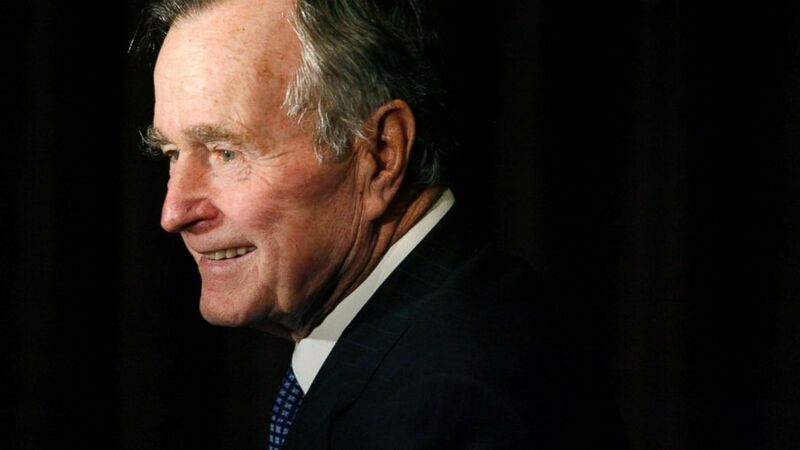 Through Bush's years in the White House, Valdez accompanied him during pivotal moments in history, including watching the fall of Communism in Europe, the unraveling of the Soviet Union and the demolition of the Berlin Wall in 1989, he said. "The interesting thing is, he didn't have the desire to go wave the flag and say, 'Hey, we won the Cold War.' He said, 'It's not our victory. It's their victory,'" Valdez said. Valdez said that while Bush's death did not shock him, the former president's dedication to his family was evident until the very end. In the days leading up to his death, Bush had stopped eating and drinking, Valdez said. 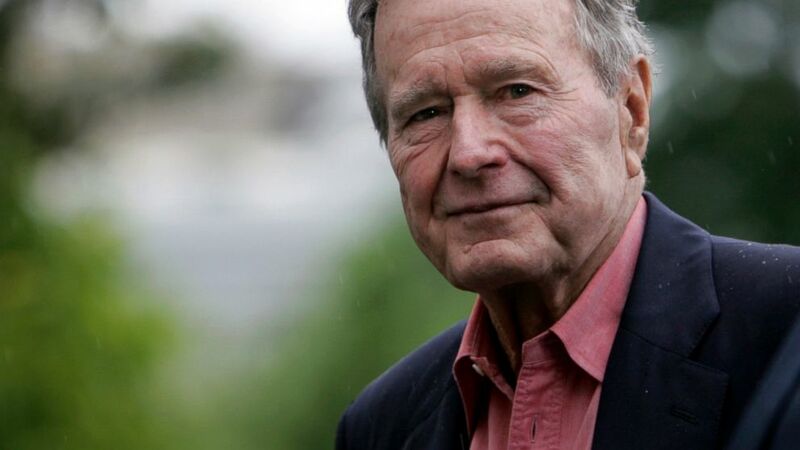 Several people, including former Secretary of State James Baker, were in the room when Bush's eldest son, George W. Bush, called and was put on speaker phone. George W. Bush told his father he loved him, to which Bush replied, "I love you too." Those were 41st president of the United States' last words, Valdez said. "And then he quietly passed away." (Lawrence Jackson/AP, FILE) Former President George H.W. Bush arrives on the South Lawn of White House in Washington, May 11, 2008. This report was featured in the Monday, Dec. 3, 2018, episode of ABC News' daily news podcast, "Start Here." ABC News' Trevor Hastings and Brad Mielke contributed to this report.